Paying tax on your hard-earned income leaves a sour taste in your mouth, doesn’t it? That is why you approach your tax consultants and Chartered Accountants to find avenues which let you save tax. Here’s a little tip for you – you can save taxes yourself if you know about the provisions of Section 80. Repayment of principal component of home loan, etc. EPF contributions, limited to lower of 10% of gross income or 10% salary, qualify for exemptions under Section 80CCD (1). However, this exemption is clubbed with Section 80C exemption for the total limit of Rs.1.5 lakhs. Employer’s contribution up to 10% of your salary is exempted under Section 80 CCD (2). Contributions to National Pension Scheme also qualify for tax exemption under Section 80 CCD (1B). The maximum exemption is up to Rs.50, 000 for the NPS scheme. Employer’s contribution and NPS contribution allow additional exemptions over Section 80C limit. Health insurance premiums qualify under this section. Premiums paid for self, spouse and children up to Rs.25,000 are tax-free under Section 80D. Furthermore, health insurance premium paid for dependent parents also qualify for tax exemption additionally. You can claim an additional exemption of Rs.25,000. Moreover, if you and your parents are senior citizens, you can claim a total exemption of Rs.60, 000. Expenses incurred on treating, training and/or rehabilitating a handicapped dependent relative is exempted under Section 80DD. The exemption depends on the extent of disability. If disability is up to 80% a fixed exemption of Rs.75, 000 is allowed. For severe disabilities the deduction is Rs.1.25 lakhs. Under Section 80DDB, expenses incurred on treating specified critical illnesses mentioned under Rule 11DD are exempt. The exemption limit is up to Rs.40,000 which increases to Rs.60,000 for senior citizens and Rs.80,000 for very senior citizens. Education is always good, both for your knowledge and for your taxes. Education loan interest payments are tax-free under Section 80E. So, if you avail an education loan for yourself, your spouse or children, the interest pay-outs are tax-free up to 8 years. This section deals with election funding. Companies contributing funds for a political party or electoral trust can claim tax exemption on their contribution under Section 80BBG. If individuals are making this contribution, the section changes to 80GGC. 100% of the contribution is available for deduction provided the donation is made by cheque, demand draft or any other mode than cash to a registered Political party of India. Interest up to Rs.10, 000 earned on savings account in one financial year can be claimed as tax-free income under Section 80TTA. The maximum limit takes into account the aggregate income of all saving accounts held under one name or PAN number. If you have a physical disability you can claim a fixed deduction of Rs.75, 000 from your taxable income. In case of severe disabilities the fixed deduction increases to Rs.1.25 lakhs. Disability is defined as any individual suffering from at least forty percent disability which is certified by medical authorities in any of the seven categories (Low vision, blindness, hearing impairment, leprosy cured, mental retardation, loco motor disability, mental illness). Severe disability means where the person suffers from 80% or more disabilities in any of the mentioned categories. So, these sections, under the purview of Section 80, help you in saving taxes. These allow tax deductions from your taxable income. Since the income is lowered, the tax liability also reduces. 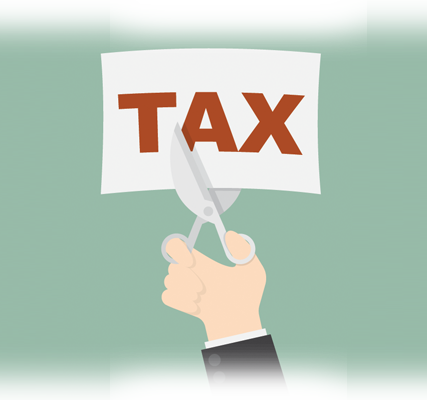 So, use these sections depending on their suitability and save your hard-earned money from the incidence of tax.